This year our trip out West started out differently from our Interstate 80 drive across the USA. Phase I was a detour to Fayetteville, West Virginia for a Burned Out Canoe Club reunion. About 50 Burned Outs from Ohio, West Virginia, Kentucky and North Carolina gathered at a campground. It was a big friend fest with river running on Saturday, a potluck supper and super-sized campfires. We all used to spend several weekends a year boating in West Virginia. River acquaintances grew into long-time friends over the years. My first introduction to the group was in 1993, but some of the BOCC boaters go back to the 80’s. 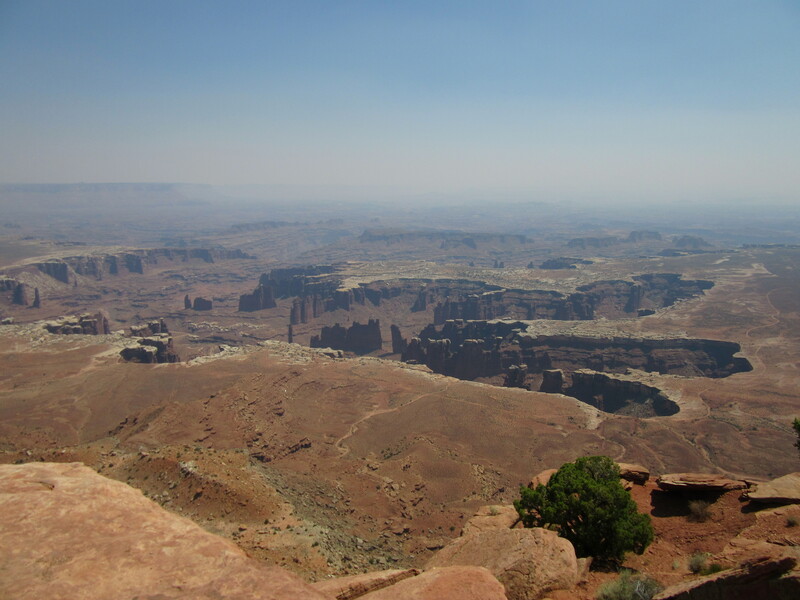 Phase II of the trip found us in Utah, visiting four National Parks in five days. Neither Dave nor I had been there, so it was all new and it was a reconnaissance trip. 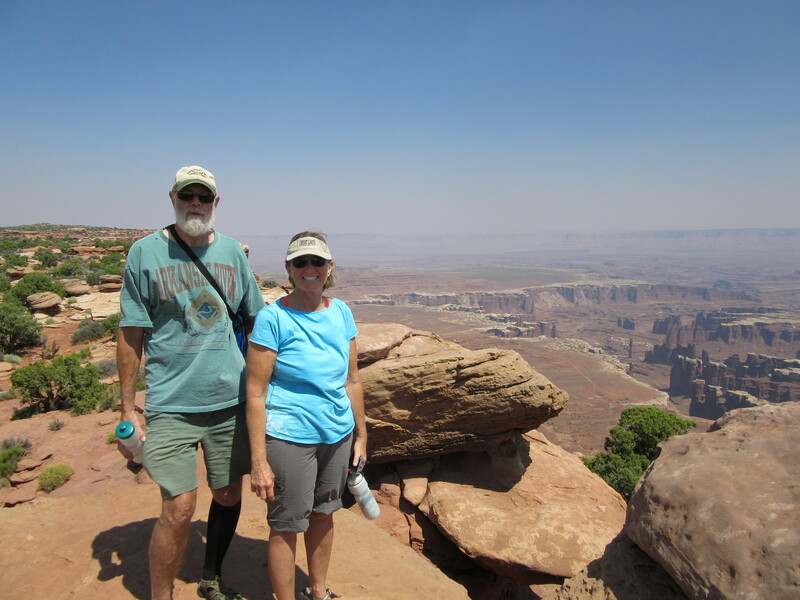 We spent two nights in Moab, a fun town with its own brewery, near Canyonlands and Arches. From there we traveled southeast to Bryce Canyon and Zion. The parks exceeded my expectations. 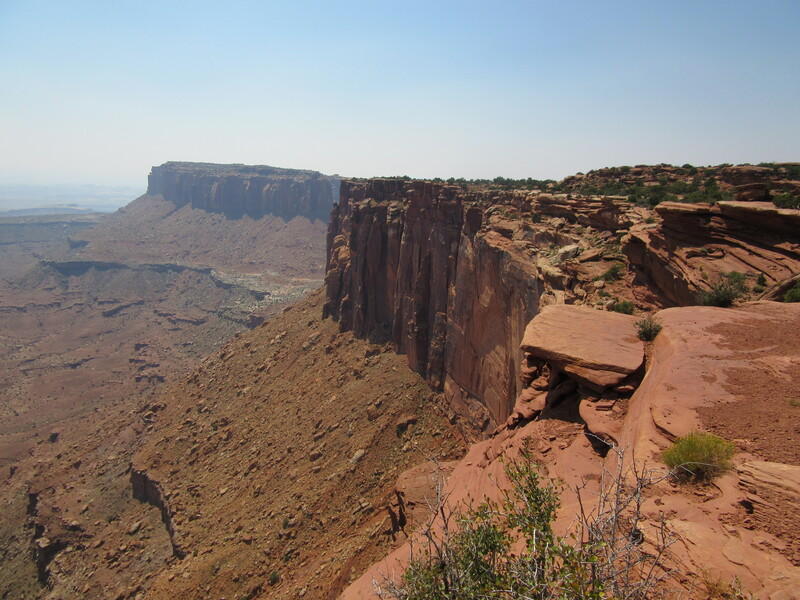 The terrain is harsh, dry, rugged and the vistas often awe-inspiring. 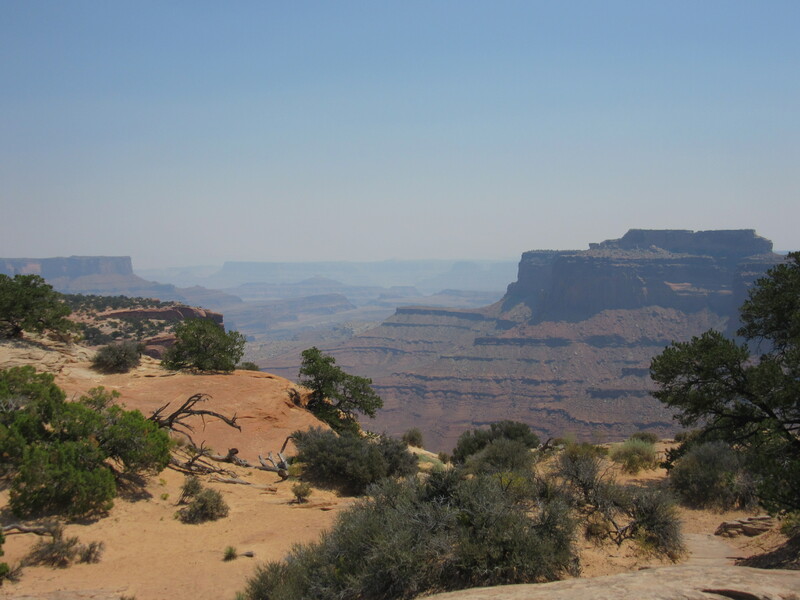 Heat was constant (after all, this is the desert) with a high of 102F in Zion. Driving and shuttle bus tours got us through the parks, but it is the hiking and exploring the natural wonders that provides the real sense of them. While Bryce Canyon was my favorite park, The Narrows river hike in Zion was my favorite hike. This entry was posted in Uncategorized on August 30, 2015 by joandr. Loved the pictures. Jim H shared some with me from his iPhone. Thanks for the update and for sharing. Think of you often. Enjoy the rest of your trip and safe travels. I can’t believe September is here already. Happy Labor Day!